Windy City Mechanical, Inc. is proud to serve the Calumet Park community! 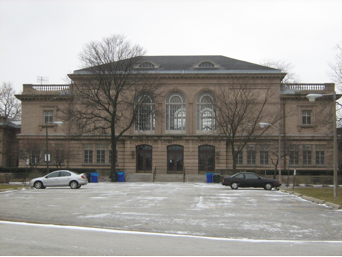 About Calumet Park, IL - Happy to be your hometown Heating & Air Conditioning Contractor! Calumet Park is a Cook County, IL village formerly known as DeYoung. As of 2010, the population was approximately 7,900 residents, and this southern Chicago suburb is situated about 18 miles south of the Chicago Loop. Historically, Calumet Park has been a major destination for Polish immigrants, and during Prohibition the community served as a gambling and bootlegging town for notorious gangster Al Capone. Calumet Park is home to the first road named for President Obama within his home state as well as the first Obama Drive in the U.S. There are a few notable attractions located in this community. Calumet Park is home to several unique specialty shops and stores, including Five Star Appliances, Cigar Mix and Detail Shop, and the Family Dollar. Residents hoping for a new look may like to book a service at King Tuts Beauty Salon, and popular area restaurants include Eggshack and Dillingers Drive-In. Residents in Calumet Park tend to invest in both home heating and cooling systems in order to stay comfortable throughout the year. During the summer, temperatures tend to reach the mid-70s on average, but high temperatures exceeding 90 are also common for several days or even weeks during the season. When these extreme heat waves come into the area and combine with high humidity, many residents seek shelter indoors, and a reliable air conditioning unit is essential for staying cool and safe when the most dangerous of conditions set in. Winter can also bring about extreme weather. While average snowfall is only about three feet per season, some years see significantly more than that, as severe storms and even blizzards aren’t uncommon. Residents are encouraged to use the calmer autumn months in order to properly prepare their homer furnace systems to ensure that they will be operating at maximum efficiency when the harshest of winter weather sets in.